You need to protect your site in environmental, geographic (waterfront platform) or security conditions with very specific requirements. Do not hesitate to express your needs to our salespeople. They will conduct with you a pre-sales study of the site. Then they will approach the Research and Development Department in order to find the right solution to your problem. Thanks to a specific software processing of the signals received from Maxiris 2000 barriers, it is possible to carry out a height recognition operation (for lorry loading levels, for instance). 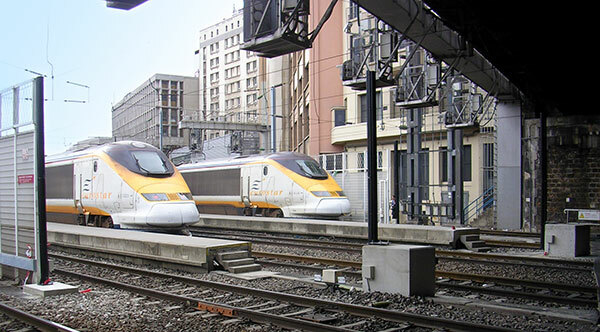 A specific option, used on railway sites, discriminates between the passage of a train and that of a pedestrian; this allows efficient monitoring of platforms and railway tracks. Certain applications may require the installation of infrared barriers at the waterfront or in high salinity conditions. The aim is to work and guarantee an optimum level of security in such environments. Sorhea has designed some specific products with double envelope which enables electronic systems to resist salt air while guaranteeing IP65 protection rating.